Jaeger-LeCoultre Duometre Spherotourbillon wirns firts prize in the 00/24 European Watch of The Year Award. 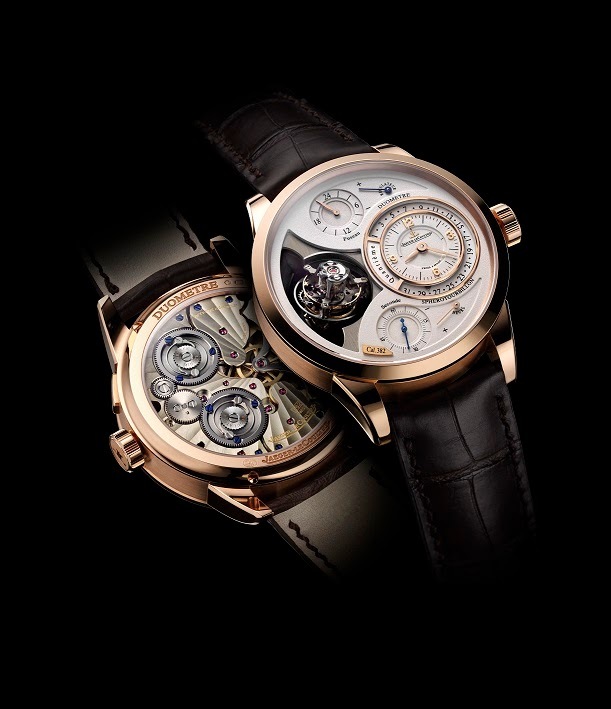 This is an authentic revolution in the field of Grande Complications, the Doumetre Spherotoubillon, stemming from 180 years of history and invention from the Manufacture Jaeger-LeCoultre, wins category 5 ( 100,000 Sterling pound men's or women's watches and above) of the European Watch of the year Awards which was founded in 2000 by the leading Dutch watch magazine 00/24 Horloges and became a respected and recognized event in the industry calendar. Last year it became a true international event, moving to London where 150 industry leaders gathered for the glamourous awards ceremony. The upcoming 14th ceremony, the second as pan-European awards, will again leave its mark on the watch industry.